Are you keeping track of the Smallest Coolest Kitchen contest? There are some great kitchens going on. The next phase of the contest, the finalists, are coming up next week. Voting for entries is going on until May 7, so go over there and vote for your favorite kitchen. 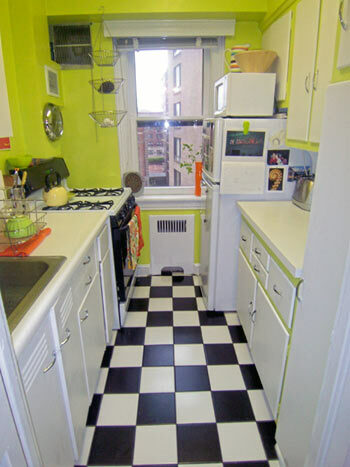 Here is the page with the list of entries for Apartment Therapy - Kitchens contest. Vote for whatever turns you on...elegance, personality, fun factor, form + function, color, there's a great variety. Take a look!